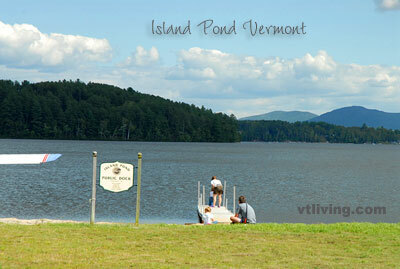 Island Pond, Vermont is a lakeside village located in the Northeast Kingdom town of Brighton, Vermont. Island Pond was once a popular railroad center. Island Pond is now famous for snowmobiling and hunting. The largest town in Essex County Vermont, Brighton has a population of less than 1,400 people. Vaudeville entertainer Rudy Vallee hails from Brighton. Fishing in Island Pond is popular winter and summer. Island Pond is called the “Snowmobile Capitol of the Northeast Kingdom”, with hundreds of miles of snowmobile trails that extend into nearby New Hampshire, and Quebec, Canada. Located in the Northeast Kingdom of Vermont, Island Pond, Vermont was chartered August 13, 1781 and organized on March 31, 1832. Brighton is comprised of 34,368 acres. Moose and other wildlife may be found in the vast wilderness surrounding Island Pond. Moose are often spotted on Vermont Route 114 between Island Pond and the New Hampshire border. 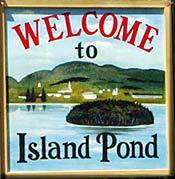 If your traveling from Montreal, PQ to Portland, ME – Island Pond is about the half-way point. An historic market in town denotes this location as the Grand Truck Railway route connected Montreal, Canada, to the ice-free harbor of Portland, Maine. The first run of this international railway was July 18, 1853. 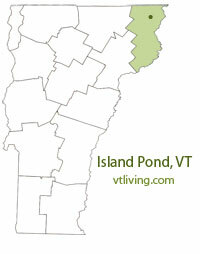 To share any Island Pond, VT information, contact us. Learn more about advertising in VTLiving.